Around the fourth month, babies begin to come into their own. Their giggles and smiles hint at the unmitigated joy they bring. 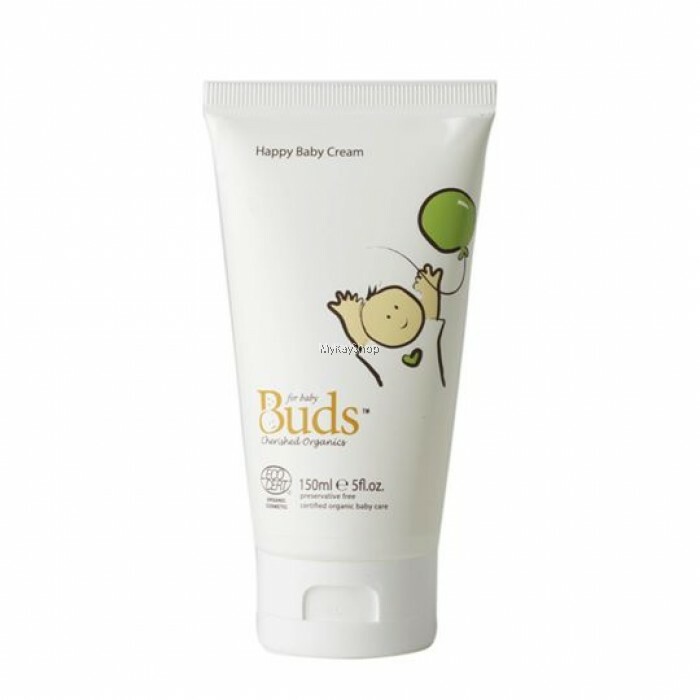 Our Happy Baby Cream with loads of essential fatty acid rich INCA INCHI, soothing ALOE VERA and superbly hydrating OLIVE LEAF EXTRACT is ideal for this period of baby's life. This combination of organic bio actives is delivered to baby's skin by means of our luxurious base of JOJOBA OIL and SESAME OIL. 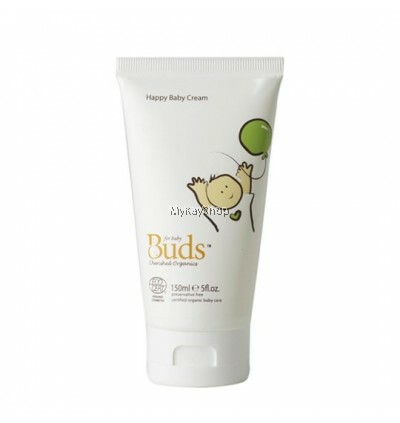 Use this cream as a great excuse to pamper and play with your baby. Put a dollop in your palms and smooth it onto baby's entire body. lnclude little games like naming body parts and massage each finger and toe separately to teach baby fine motor awareness. Aloe barbadensis leaf juice*, simmondsia chinensis (jojoba) oil*, butyrospermum parkii (shea butter)*, sesamum indicum (sesame) seed oil*, plukenetia volubilis (inca inchi) seed oil*, helianthus annuus (sunflower) seed oil, cetearyl olivate, sorbitan olivate, xylityglucoside, anhydroxylitol, xylitol, glyceryl undecylenate, olea europaea (olive) leaf extract, lavandula angustifolia (lavender) oil*, cananga odorata (ylang ylang) oil*, pelargonium graveolens (geranium) oil, tocopherol, parfum/perfume, benzyl benzoate**, benzyl salicylate**, geraniol**, farnesol**, limonene**, linalool**, citronellol**, citral**.